Growing Hope serves youth and schools in the Ypsilanti community and beyond. Our programs include garden-based nutrition education on the Growing Hope Urban Farm, in classrooms, in after-school programs, and in summer camps. 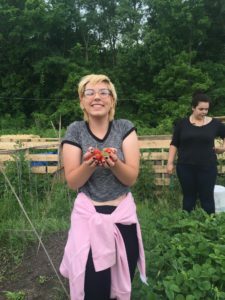 Every summer we employ Ypsilanti teens to train as leaders within the local food movement. Teens learn about gardening and cooking on the Growing Hope Urban Farm. 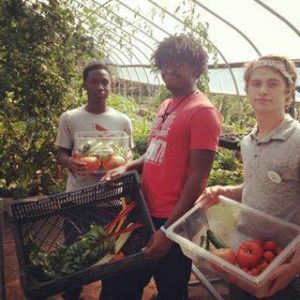 Through a train-the-trainer model, teens gain confidence leading garden and cooking lessons with youth, preparing seasonal recipes for the Farmers Markets, and engaging in food justice discussions and activities. Applications are open for our 2019 season! If you or a teen you know would like to apply, click here or contact [email protected] for more information. Our Urban Farm has fun, educational opportunities for youth of all ages. Through hands-on, interactive lessons,youth explore gardening practices and cooking seasonal produce. Youth are encouraged to use all their senses to experience the garden. Teachers with specific learning objectives partner with Growing Hope to co-create lessons that compliment classroom learning. Our Seed to Plate program is a cooking and gardening series aimed at Ypsilanti students pre-K through 12th grade. Through interactive lessons, youth harvest food from school and community gardens and use seasonal recipes to prepare fresh food. In addition, youth learn about where and how to access fresh, seasonal food in their neighborhoods. Farm to School is a national network of educators and school administrators working to influence food purchasing and education practices at schools and education sites to include more fresh, locally grown food. 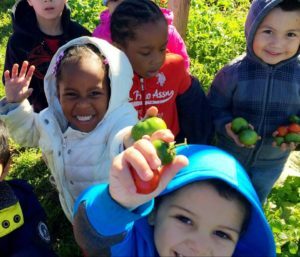 Growing Hope is an active member of Ypsilanti Community School District’s Farm to School committee. Through this initiative, students participate in school garden lessons, attend field trips to area farms, and are exposed to more fresh, local food in their school lunches and snacks.